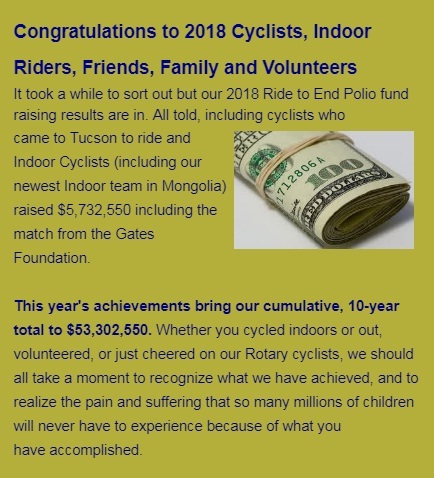 came to Tucson to ride and Indoor Cyclists (including our newest Indoor team in Mongolia) raised $5,732,550 including the match from the Gates Foundation. 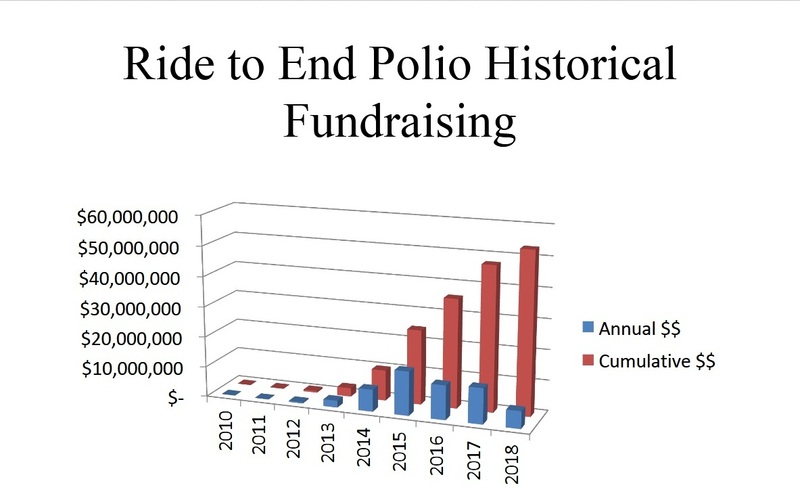 This year’s achievements bring our cumulative, 10-year total to $53,302,550. 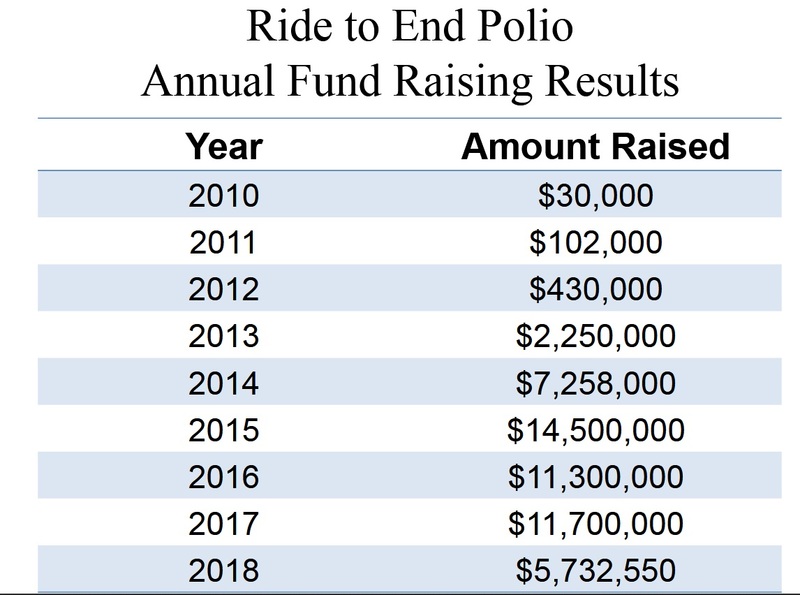 Whether you cycled indoors or out, volunteered, or just cheered on our Rotary cyclists, we should all take a moment to recognize what we have achieved, and to realize the pain and suffering that so many millions of children will never have to experience because of what you have accomplished.